Windows 10 isthe mostpopular and widely embraced operating system since Windows 95. There can be numerous reasons that could have attracted users, includingsecurity improvements like recursive data encryption, virtualization-based security, and more. With these enhancements and other benefits, there has been seen a significant shift of organizations from an older version to Windows 10. However, the migration is not smooth as users are facing compatibility issues, namely the programs not running properly. Also, users nowadays want their computer to treat as a mobile device. Users using Windows 7 are quickly switching to Windows 10 as the end of life deadline Microsoft’s January 2020 for Windows 7 is near. 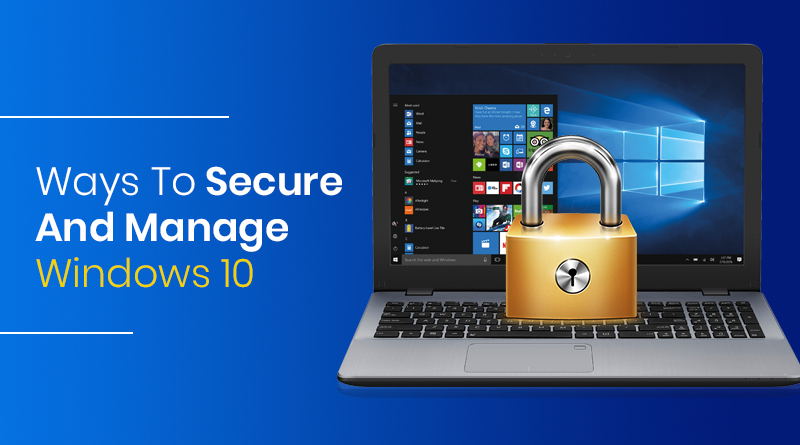 To ease up the migration process, you need to take care of a few things in terms of security & manageability Windows 10. In this post, we have mentioned some of the important prerequisites to help you with migration. Let’s get started! It is significant to know about the operating system, compatibility of the OS with your system and hardware. Checking what applications are important for you and also whether they have any compatibility issues with the new environment. Knowing all of this will help you evaluate the risks and gaps. It will also help you to come up with a plan to bridge those gaps. The shift to Windows 10 is quite a change, it changes the interface, layout and also the way how some of the apps behave. Therefore, you need to keep an eye on the whole process to understand it and observe new modifications when they come online. When using a new device, you need to understand whether the device is compatible with Windows 10 or not. Also, you need to check the compatibility of the applications required to run on it. You face intricacies when the transition is over. It is important to know about all the changes and to keep up visibility and be aware of all the changes. As the changes could indicate your safety and threats posture is moving towards exposure. Also, you need to evolve the meaning of asset and match it with the real-world security team’s definition which is, to include devices, data, users, and apps. It is necessary to be well-informed about how these four components interact. As you could undoubtedly be in a position where everything be it controls, or apps are consistent, however, a specific user is using these tools and technologies in a different manner. Therefore, you need to observe the entire environment on the endpoint to minimize the intricacy and threats related to all the variables. You need to constantly monitor the security controls. As everyday threats are increasing, devices lose security controls over time however, this reality accelerated because of intricacies and dependencies mentioned above. Therefore, only installing encryption will not do, you have to ensure that it stays active and if there is any change on the device, you can nurse back to health. Once you are through the Windows 10 migration, it is significant to plan how will you deal with your devices’ security controls to make sure the devices stay healthy. In Spite of the transition journey’s challenges posed for security and IT teams, it is feasible to deploy and use Windows 10’s security improvements, meanwhile circumvent usual and expensive transition hazards.